The definition of a mobile application is a software, designed to run on a mobile device such as a smartphone or tablet. Mobile applications frequently serve to provide users with similar services to those accessed via desktop computers. Depending on the product or service a business provides, they can be highly successful. It was reported that there were 205.4 billion mobile app downloads in 2018 (Source: Statista) and that figure is expected to continue to grow significantly in the next 3 to 4 years. Currently the most popular applications are social media based with users accessing through the app rather than via a mobile internet browser. Apps account for over 80% of mobile usage (Source: SmartInsights) which is unsurprising as many companies promote the app as soon as the website is accessed via a mobile browser. We’ve all seen the prompt to “download the app” with the suggestion that usability is better via the mobile application. Tech giants Apple reported that messaging service WhatsApp has 1.5 billion monthly users, Facebook was downloaded an estimated 29.4 million times during the first quarter of 2018, and Instagram downloads hit 31 million for the same period. You could almost reason that there is an app for most daily tasks, from timers for brushing teeth, to nutritional diaries. Route planners to shopping lists. Daily motivational quotes to household tips! Being able to access a website via your mobile phone was revolutionary, then the website was responsive on your mobile phone making it easier to view. Now the expectation is that there will be an even easier version to use via an app. It provides value to your customers. A simple, quick method of using a product or service, payment details, location preferences, favourite habits – all remembered and all accessible at the click of a button. Some larger retailers have even offered rewards to customers who download their app such as money off vouchers or loyalty schemes. It promotes brand awareness. Using your logo or recognised brand emblem to front an app re-enforces brand identity and brings it to the forefront of the consumer’s mind. Many customers prefer to avoid content with actual human beings as much as possible! Having an app that can provide solid customer service is not only cost effective, it is becoming a preferred method of communication for millennials. Increase in profits. Fast food restaurant chains have reported a rise in revenues following the introduction of ordering apps. Many customers felt the app was more beneficial as opposed to going to the store or ordering over the telephone. Customers could be made aware of special promotions, add-on-items and be rewarded with discounts for using the app to order. 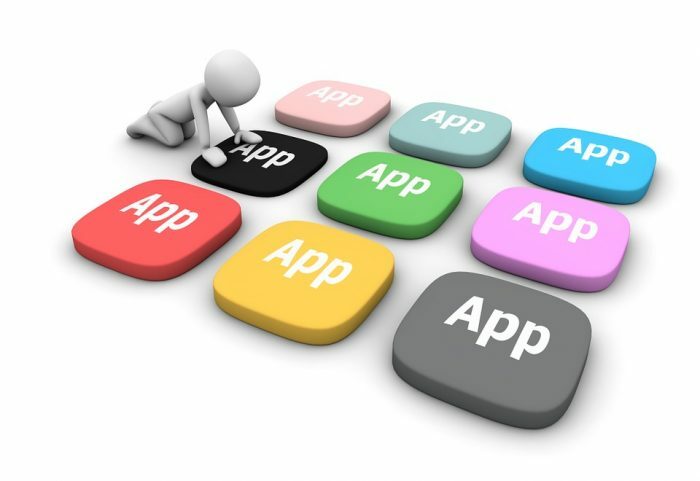 Apps also provide businesses with a huge amount of data. Any good Digital Marketing Strategy or Marketing Campaign MUST be analysed, and knowing your audience is a top priority. Mobile Apps give access to location data, purchase habits and demographics. If you don’t have an eCommerce product you can still have an app! Customer account management, reviews, advice, marketing campaigns, discount codes are all options via an application. Whether you are using the app to facilitate a point of sale or using it to build customer loyalty, mobile applications are growing in popularity. eppiq Marketing can help with all your Digital Marketing requirements including apps – get in touch today.